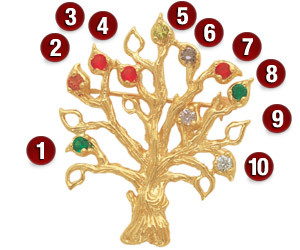 The 10kt white gold Tree of Life pendant holds ten round 2.5mm simulated birthstones of your choice. Item is approximately 1 3/8in in height. Made in USA. Order by April 30 for Mother's Day.